Jason Kulpa, CEO of SaaS company, UE.co, announces his new scholarship for a student affected by Hurricane Florence. SAN DIEGO, September 17, 2018 – Jason Kulpa, CEO of SaaS company UE.co, has established the Jason Kulpa Hurricane Florence Relief Scholarship to help a high school senior in all areas affected by the storm including but not limited to North Carolina, South Carolina, Virginia, and Georgia. I hope that this scholarship will help a student in the affected area's future education, and inspire businesses and leaders not directly impacted to support relief efforts as well. High school seniors in affected areas who are planning to attend a university in 2019 can apply for the scholarship at https://www.jasonkulpascholarship.com/hurricane-florence-relief. Applicants must submit their applications by Oct. 5 to be considered. The winner will be announced in October, and scholarship funds will be sent to their school’s financial aid department. 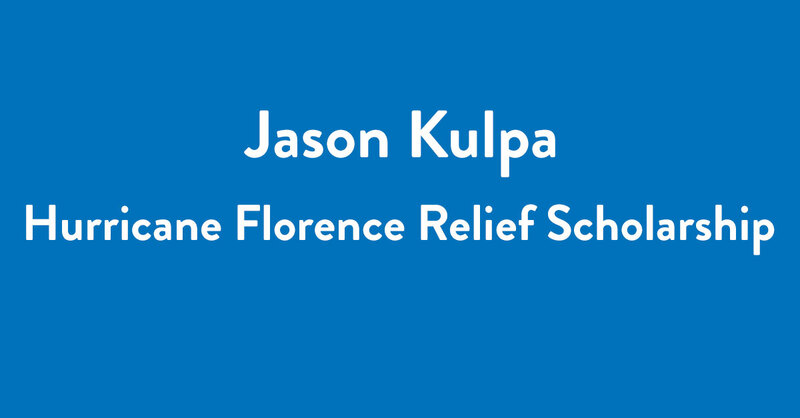 The Jason Kulpa Hurricane Florence Relief Scholarship is the seventh scholarship Mr. Kulpa has founded this year in his efforts to support students looking to further their education in a time when tuition is continuously rising. Other scholarship awards funded by Jason Kulpa include The Jason Kulpa Community Scholarship, The Jason Kulpa Leadership Scholarship, and The Jason Kulpa Tech Scholarship.